Politics aside, it's now election season here at Vital MX. We've got three Trophy Categories for the Vital MX Knobby Awards. Person of the Year, Product of the Year, and Racer of the Year. You get a hand in picking the winner in all three of the trophy categories. We've also got a trio of Vital Staff members, and a list of industry folks who have a say in the voting. We'll compile our votes with yours, and determine the champs in each category. We've also got a whole bunch of other non-trophy categories that you can vote on, to give a nod of recognition to riders, teams, and events that made the highlight reels this year. Deadline for voting? That's November 15, 2018. We'll announce the winners after that. Jason Anderson learned some valuable lessons from Ryan Dungey, and it showed during the '18 Supercross season. He was fast when he needed to be, took advantage of win opportunities when they were presented, and was smart about when to push...or not. That resulted in a 2018 Monster Energy Supercross championship in the 450 class. Unfortunately a freak training accident left him with a nearly severed small toe, and he had to sit out most of the summer. Talk about a dream year. Wins in 17 of 19 MXGP events. Podiums in every GP. The 2018 MXGP championship. Then going 1-1 in the MXGP class at the Motocross of Nations. 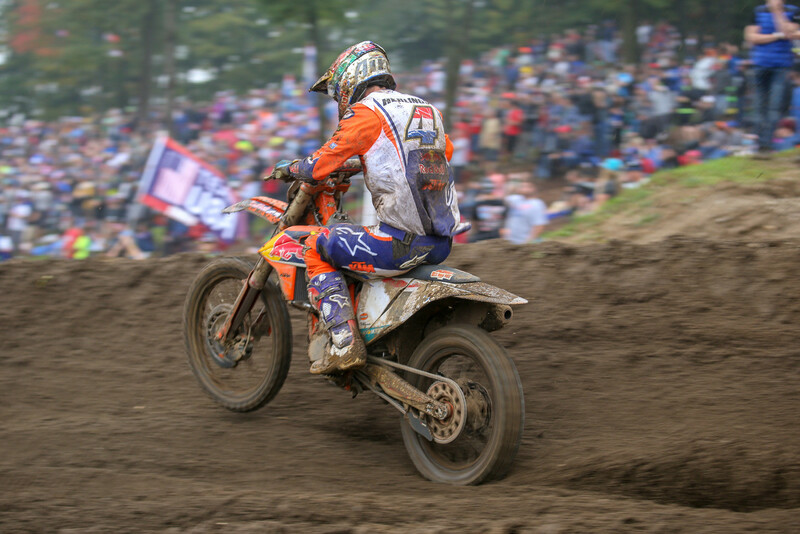 There's little doubt that Jeffrey Herlings is the fastest full-time MXer. But Racer of the Year? That's up to you guys to decide. 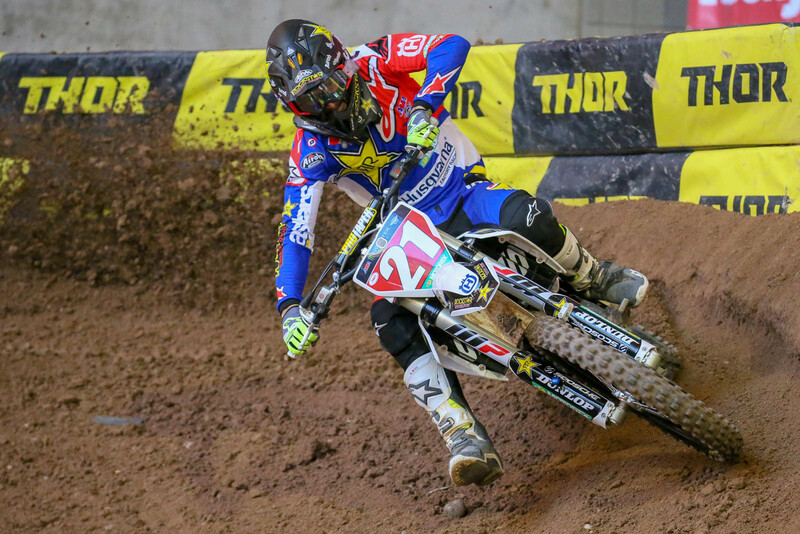 2018 was a stellar year for Aaron, with four wins and a 250 West Supercross title. He backed up during the outdoor season with 11 moto wins, six overalls, and a 250 National crown...not to mention being the MX2 entry at the Team USA at the Motocross of Nations. Next up? A move to the 450 class. Who is your pick for Vital MX Racer of the Year? Before announcing his retirement at the end of the Lucas Oil Pro Motocross Championship season, Bones had been a fixture as the suspension tuning guru at Pro Circuit since 1984. He was with the team throughout their long history of MX and SX championships, as well as off-road and Baja successes. While we expect we'll see him around a bit (and already have seen him helping out at a couple of off-season events), there are also a lot of trout out there to catch, and a house to work on. Bringing the Motocross of Nations to RedBud was a longtime dream of their father, Geno, and Tim and Amy Ritchie (along with Youthstream) made it happen. Kudos to them, as this was the race that motocross fans in the U.S had been waiting on for quite a while. This ranks as the high water mark for events (and fans) here in the U.S., and we're guessing overcoming all the hurdles to make it happen was no easy task. We'd also guess that the race returns to RedBud sooner, rather than later. We just hope that the weather cooperates next time around. 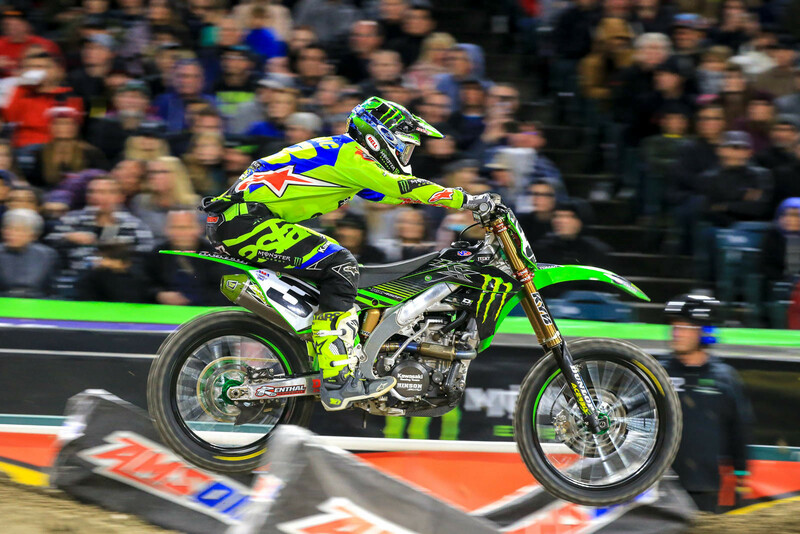 Watching Ken go through well-documented and extremely devastating hand and wrist injury to come back at the start of the '18 Supercross season (and nearly win in Oakland) was impressive. Then watching him go through another one (this time on the opposite wrist) and then line up at the start of the outdoor season was impressive...even though he admitted that he had no idea how he'd do...or whether he was even ready. He improved throughout the season, won a pair of motos, and showed that he's got lots of speed and heart. It was pretty much a Hollywood script waiting for a writer and producer. We can’t think of (m)any others who have ever done as many kinds of racing in a year, and at such a high level, as Ryan. GNCC and Sprint Enduros? Yep. MX Nationals (as a fill-in at Rockstar Energy Racing Husqvarna) and a MXoN (for Team Puerto Rico)? Yes. Flattrack and the upcoming ISDE? You know it. Red Bull Straight Rhythm? Yes again. That’s impressive. Who is your pick for Vital MX Person of the Year? Alta was right at the tipping point of overcoming consumer scepticism, and capturing a bunch of attention with their electric MXers. They’d also conquered a ton of technical hurdles and were producing bikes that, while not exactly competitive with pro-level MX bikes, had come a long way towards being in the same ballpark. We’re not sure what the future holds for the brand on the business side as they’ve currently ceased operations, but they deserve some kudos for making things interesting. We're all for new bikes, and we particularly like bikes that cater to new riders and racers. It was cool to see Yamaha step into a category that that'd been missing the boat on, with a modern and competitive bike for the younger crowd. 6D’s original helmet, the ATR-1 got the whole motocross industry talking about “rotational energy” in helmet design. Since it debuted, many other helmets have added some sort of system addressing rotational energy. This year, with the launch of the 6D ATR-2, not only did they continue the development of their ODS (Omni-Directional Suspension) they added pretty much every other safety feature anyone has come up with to the ATR-2. It is arguably the most complicated and innovative helmet on the market today. While not exactly new for ‘18, Yamaha’s Tuner App and WiFi connection seemed to pick up some acceptance and momentum this year, and does make a pretty darn convenient way to change the power characteristics on your YZ. We wonder how soon this will be a standard item among all the manufacturers. What is your pick for Vital MX Product/Innovation of the Year? These are for fun, and bench racing fodder only. Ugh, you have to feel for the Honda crew, as both of their 450 riders were out of action for extended periods of the Supercross and/or National seasons. Ken Roczen went out at San Diego after tangling with Cooper Webb), and Cole Seely suffered serious injuries at Tampa. Then Christian Craig came in as a replacement, and went out early in the outdoor season with a knee injury. Here’s hoping for better for the red crew in ‘19. Whether it was crashes or DNFs, 2018 was pretty unkind to Jeremy Martin. The tangle and crash with Justin Cooper at Muddy Creek that left him with a broken back? That was just brutal. We’re looking forward to better times ahead for JMart. Zacho successfully defended his 250 East SX title, and came into the outdoors a little banged up. Unfortunately, a first turn crash left him with a dislocated shoulder. After popping it back into place. He remounted and finished the moto. A post-race checkup determined that there was enough damage to require surgery and that he’d have to sit out the rest of the summer. He’ll move onto the 450 class for ‘19. Who is your pick for the Worst Luck Category? Ending up in Las Vegas with two number one plates (Anderson and Osborne) was the high point and huge step forward for Bobby Hewitt’s crew. That was big for them, and the post-race celebration was fairly epic. The outdoors was a rough go, though. Eli Tomac and the green crew picked up a ton of wins throughout the year, plus the 450 Outdoor title. They’ve been oh-so-close on the SX side the last two years, but will have to try again in ‘19 to capture that one. Bringing home a pair of titles with Aaron Plessinger during the year was big, and they also had some other highlight moments with wins for Dylan Ferrandis. Justin Cooper’s shown some serious speed, and we also get flashes of brilliance from both Colt Nichols and Mitchell Oldenburg...when they’re healthy. Who is your pick for the Best Team Category? Who's your pick for the biggest moment? Here are a few (actually, probably a few too many) nominees to view. Let's stay safe out there, gang. Amateur Endos on Larocco's Leap! What's your pick for Crash of the Year? Voting is now closed. We’ll tabulate the staff, industry, and reader votes, and announce results early next week. Find the amatuer guy and tell him he's the only guy with electrical tape numbers to beat all those guys. Definitely get a trophy out to him!